Enucleation is the surgical removal of an eye. 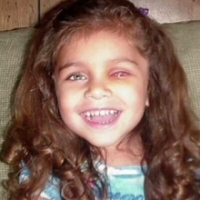 There is no safe way to surgically remove retinoblastoma without removing the entire eye. Surgery is the best treatment when cancer threatens the child’s life, when there is no hope of saving useful vision, when only one eye is affected, or when there are no other options. When an eye is removed, an implant is recommended to replace lost volume. This is usually placed during the surgery. Either during surgery or once the eye socket has healed, the child can receive an artificial eye, a concave shell painted to match a real eye. This sits over the implant, held in place by the eyelids, and can be removed and replaced by the wearer or a parent. The eye does not restore sight. The removed eye is examined by a pathologist for signs of cancer spread. The pathology report helps doctors provide appropriate post-operative care for the child. Enucleation surgery can be a very stressful and bewildering experience, particularly if you have only just learned your child has retinoblastoma. The next few days may be a blur as you await the operation, explain it to family and friends, and think about what will happen after surgery. Feelings of shock, disbelief, denial, guilt, anxiety and anger are normal reactions to this highly challenging situation. Visit our Living with Retinoblastoma section for suggestions on how to look after yourself and your family at this time. Explore the pages below for a detailed guide to each step of the enucleation process. Enucleation is done in the operating room under general anaesthetic. Knowing what to expect on the day can help you prepare yourself and your child. An Implant is a ball of synthetic material or a fat graft, permanently sewn into the socket to fill the space previously occupied by the eye. There are four broad categories of implant: integrated, semi-integrated, non integrated and dermis fat graft. We summarize the advantages and disadvantages of each. Find out about the common and less common side effects of this very safe surgery, and how they can be resolved. Doctors need to know whether cancer has spread. The eye is examined by a pathologist, and their findings guide post-operative care. The days immediately after surgery can be extremely emotional. Knowing what to expect can help you and your child during this difficult time. People are naturally inquisitive, but their interest and reactions can be overwhelming. We offer some suggestions to cope with these situations. An artificial eye is a concave shell, painted to look like a real eye. The eye sits over the implant, behind the eyelids, and can be removed and replaced. The eye must be cleaned regularly to reduce discharge from the socket, minimise the risk of infection, and keep the eye feeling comfortable.